Well I have enlarged the image by a factor of two and I still cannot see how you know that is Set 7, so please tell us the secret. 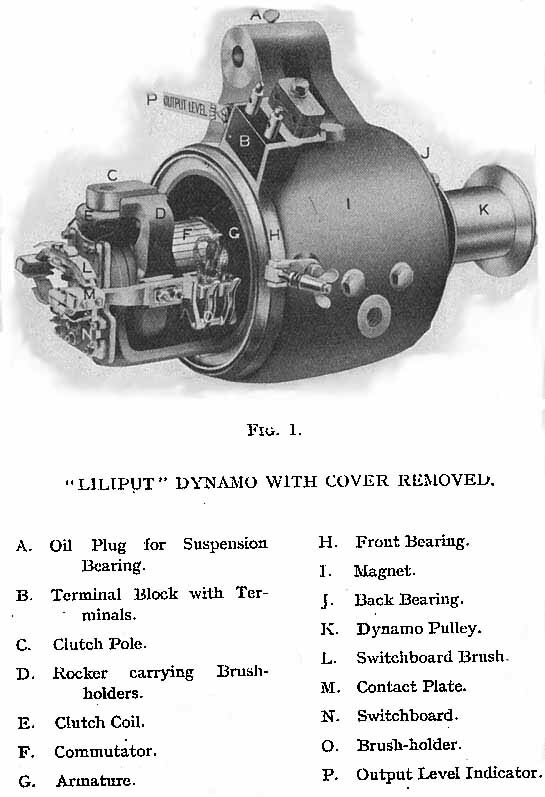 and if you want to see a picture of an early Liliput dynamo, this may be suitable..
Click the image to enlarge it, then look just below the setp on the end of the carriage – you can just see the end of the set board and the number 7. This was confirmed to me by Philip Millard. Thanks for the links. I assume Stone’s Lighting was developed by Sidney Stone who had a distinguished career at the LSWR, GER, Ashbury Carriage Co., Metropolitan Carriage & Wagon Co., and ended up as Assistant Locomotive Works Manager on the GCR. He wrote several articles on carriage construction in the Railway Engneer between 1892 and 1897, collating much of it to publish them in book format in 1903. Part Two was typeset but remained unpublished until Peter Kay collated the remaining text and published it in 1995. In his section on LNWR electric lighting Stone doesn’t mention the designer, but notes the LN&W, the Midland and GER had all tried the system but abandoned it. He doesn’t mention what was used instead. Perhaps irrelevant for my needs as my set will be gas lit, c1890s. I have been waiting for the opportunity to ask this question and this topic is that time. You are writing about an area of London with the intention of creating a New (Alternative) World which provides for a plethora of services which did not exist in the times of which you write. For added complexity, read ‘interest’, the era of your writings is really two separate periods, say 1885-95 and 1895-1905. Your notes on LNWR services over the Metropolitan District Railway indicate that the Brown Train could feature in either Act I or Act II of the East End Trilogy (Act III – not yet written – covers whatever changes you wish to make and allows for the possibility that Lady Bracknell ((she of three volume novels)) might just have travelled towards Bishopsgate by such a train). Now if the Brown Train could be in Act I then the set would be gas lit… and if that train had a role in Act II then the carriages would be lit by electricity…. rather a problem unless you have two “Set No. 7″s, one with gas cylinders and one with electric accumulators. The reply to my initial posting seems to give Set No. 7 a role which is constrained to Act I and hence gives rise to the question. In what you have written to date, across all of the various topics, how does the reader decide which of the two periods is most appropriate to the subject in hand? Cue stock list by period? I think I’ve mentioned elsewhere that the period change takes place c1898, but that’s a very feather-edged date; a set cut-off would be very difficult to maintain because of the incomplete historical record between the various railway companies that exists in reality. Of course this means anachronisms are inevitable, but that’s a compromise I accepted fairly early on, and I’m now more interested in portraying a progression of services and the ringing in of stock changes over time. I don’t want to write out a list of stock by period, at least not yet awhile – that would pre-empt several planned entries, but over the next few days I’ll add a couple of Post Categories into which Period I and Period II posts can be organised and readily discerned. Ho-Ho! Are you saying that Bob and David were plagarising the historical world when they introduced the concept of Period I, II and III for Stanier coaches? 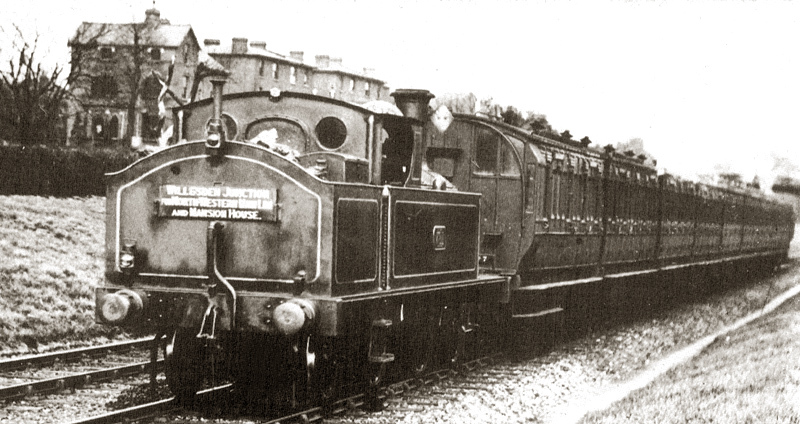 As the planned LNWR Set No. 7 is a Period I model then what happens to those LNWR services in Period II? Will you have a different style of LNWR carriage? Or maybe be no corresponding LNWR service in Period II (even though this entry records that the LNWR is imagined to have had a service throughout Period II)? I understand your reticence to produce a stock list at this stage – your readers may then expect entries to accompany particular models. On the other hand, I applaud the idea of period categories for referencing individual entries. Once I begin writing entries detailing individual builds of models, I’ll ensure that there are obvious links within the text back to the relevant waffle rambling historical entries which have, by necessity, made up the bulk of the journal thus far. Somewhere els on this site I asked for brown train coach numbers, If I had opened my eyes I would have noticed that you have allready given them, Shame on me for not looking.